Be the first to hear about their new releases and deals. Download the Booksprout app and search for Christine Pope today! USA Today bestselling author Christine Pope has been writing stories ever since she commandeered her family’s Smith-Corona typewriter back in grade school. 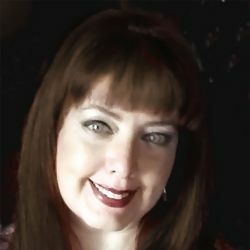 Her work includes paranormal romance, fantasy romance, and science fiction/space opera romance. She makes her home in Sedona, Arizona.